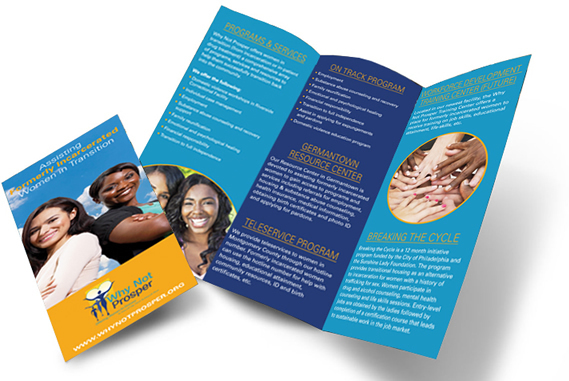 Brochure Printing are a professional way to convey your message in a compact, portable portfolio. Use Brochure Printing to promote an event or feature your product in full detail.
" Our company, Geras Home Care Services loves working with Mirror Image Media. I wanted to thank you for everything you have done for our company. It is so refreshing to find other businesses that are still operated in friendly and professional manner where human interaction is still valued, this is becoming so rare! Your company has always done a great job on printing our marketing materials including design. We look forward doing much more business with you soon"
Have our design team create and outstanding design at an affordable price of $225. We offer many styles of folding; Half-fold, Tri-fold, Z-Fold, Right-Angle, Double-Parallel, Accordion-Fold, Gate-Fold and Double Gate-Fold.